Bridgestone Americas Inc., often called Firestone, is a subsidiary of Bridgestone Corp., the Japanese tire giant. Kaizaki was Firestone’s CEO when Charles Taylor attacked the plantation. He later became Bridgestone’s CEO. 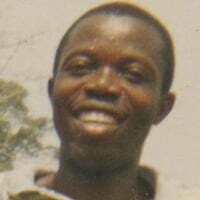 Morlue was a Liberian Firestone worker whose wife was killed when West African peacekeepers bombed the plantation. 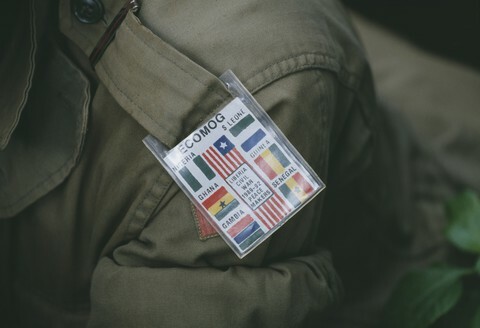 A Firestone controller, Pettit went to Liberia in 1992 to help restart the rubber farm. A top Taylor general, Ramos was assigned to guard the Firestone plantation with 300 soldiers. A top official at the U.S. Embassy, Rose personally disapproved of Firestone’s deal with Taylor. A Firestone corporate executive, Schremp traveled from the U.S. to Liberia to open discussions with Taylor. 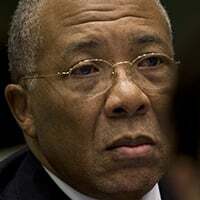 Twaddell was head of the U.S. Embassy in Liberia from 1992 to 1995. 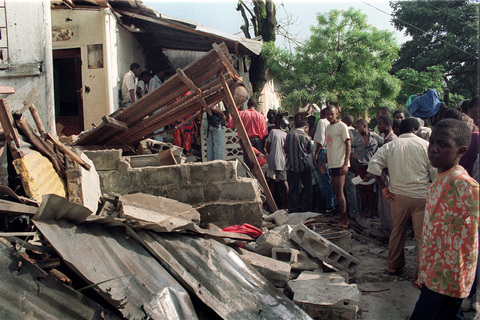 A top Taylor commander, Vambo was accused in the deaths of five American nuns during Operation Octopus. A Firestone general manager, Weihe returned Liberia to oversee efforts to restart the plantation in 1992. Three American nuns from the Adorers of the Blood of Christ order are killed. Two others had been killed on October 20. West African allied air force bombs the Firestone plantation. More than 40 people are killed and 200 are injured. Donald Weihe writes to Charles Taylor to inform him that Firestone’s expatriates are abandoning the plantation. Firestone board of directors meets to consider the option of selling plantation. Instead, they vote to restart operations. Amos Sawyer, Liberia’s interim president, visits the Firestone plantation. He accuses Firestone of helping Taylor prosecute the civil war. John Schremp, the Firestone Akron executive who oversees the plantation, answers Sawyer’s accusations of complicity with Taylor, defending the company. Amos Sawyer’s interim government is replaced by another transitional government that includes Taylor representatives. Firestone files a lawsuit against its insurance companies after they decline to pay damage claims. Firestone begins negotiating with the transitional Liberian government to resume operations at the plantation. Firestone and Cigna reach an agreement to settle Firestone’s suit for between $15 million and $45 million. The exact amount remains unknown. 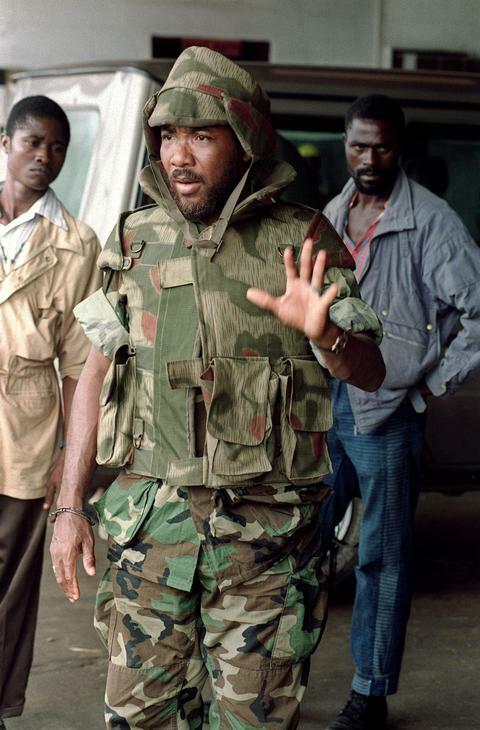 Charles Taylor launches his third attack against Monrovia. It fails. John Schremp tells the media that Firestone has shipped its first rubber from Liberia in years. 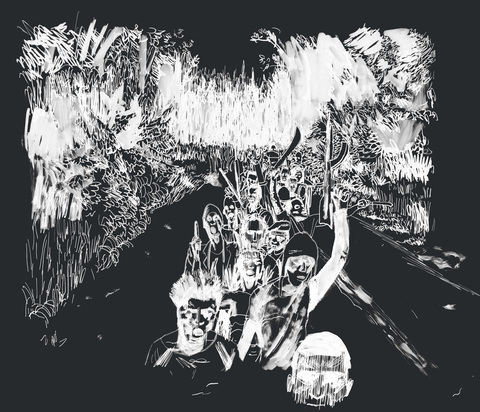 At around 3 a.m. on October 15, Taylor unleashed his hell on Monrovia. Howitzer cannons and 81 mm mortars set up in outlying suburbs hurled metal into the sleeping city — a narrow peninsula bordered by mangrove swamps, mudflats, creeks and the Atlantic Ocean. Gerhart, who lived in a house overlooking the marshes on the eastern edge of Monrovia, awoke to rocket fire sailing over the roof of his home. “We knew the battle was on,” he said. At the same time, in the fortified U.S. Embassy at the other end of the capital, Twaddell woke to booms. The barrage racked the city. Mortar shells landed near the compound. “It was chaotic, very scary,” Twaddell said. Taylor had launched a mad, merciless, determined assault to seize the capital that he had failed to gain control of two years earlier. Some analysts believed that was why he had retreated to Firestone’s plantation — to plot the attack, to bolster his forces, to stock his magazines. Taylor’s battle plan called for the entire weight of the NPFL and its allies to hammer Monrovia from multiple directions, enveloping it like the arms of an octopus. Two attacks were staged from the Firestone plantation, one from the north and a second from the east. They were aimed at seizing Monrovia’s suburbs and the interim government’s only remaining airport. An allied rebel faction would attack from the west to destroy the base of the West African peacekeepers and seize the country’s largest port. The city would be trapped against the anvil of the Atlantic. Taylor’s generals predicted it would fall in two weeks. “We had the men. We had the will to fight,” said Daniel Chea, then Taylor’s defense minister. Richardson had taken over Brad Pettit’s old house. Taylor’s men had captured a battle map that had belonged to the West African forces. Richardson spread it across a large table, tracking the battle as it progressed over the next several days. The attack did not go as planned. The NPFL had stationed two aging missile launchers that could fire up to 40 rockets at a time in the suburbs across from the capital. The rockets fired wildly, overshooting the city and landing in the ocean, as harmless as fireworks. The artillery barrage also was not hitting the intended targets. The 105 mm Howitzer guns were old, their barrels locked in place by rust and disuse. The only way to change the trajectory of the shells was by moving the cannons back and forth. The 81 mm mortars landed randomly. One even hit Richardson’s family home in Monrovia. Richardson tried to compensate for the indiscriminate fire by using the radio station at Firestone to warn residents where the next rounds would fall. “I suggest you move from there, because tomorrow I’m gonna rain all hell on you guys,” Richardson would tell people living in neighborhoods near military targets. Taylor’s commanders unleashed their shock troops, child soldiers who dashed across mudflats wearing cheap rubber sandals they called “Four Wheel Drive.” The child soldiers were often given drugs or alcohol before battle to boost their courage, according to human rights organizations. Appearing drugged, they ran toward West African soldiers, firing and retreating, firing and retreating. The children cut down one adult after another. The men hardened. 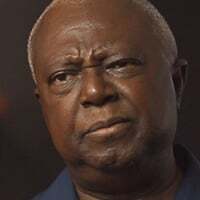 Innocent Nass, a military analyst and retired Nigerian officer, remembered fighting against Taylor’s child soldiers at a later stage in the war. They were often the most violent, most devoted soldiers, drugged berserkers who attacked in human waves. “You really don’t see them as children in the heat of battle,” Nass said. As the rebels advanced through the suburbs, they carried out summary executions of civilians suspected of being government collaborators. They looted homes. They seized property. Some spray-painted their names across empty buildings to claim them as their own. Some 200,000 people fled into the city to seek safety. Monrovia became a pestilent ark. People crouched in homes and died in the streets. They filled the hospitals: babies with head wounds, mothers with shattered legs, young men broken and wrapped in blood-soaked bandages. The rebels ringed Monrovia. Chipley, the skinny kid who grew up on the Firestone plantation, was now commander of the Wild Geese brigade, considered to be one of the more professional units of Taylor’s army. Chipley marched his 1,100 men toward the suburbs of Monrovia dressed in black T-shirts bearing the emblem of a flock of geese. They were armed with RPGs, lightweight 60 mm mortars and an anti-aircraft gun. Christopher Vambo, known as Gen. Mosquito, swept south from the Firestone plantation with more than 2,000 men. He seized a suburb called Gardnersville, which was separated from Monrovia by 2 miles of swamp and river. He wore camouflage battle dress, a red beret and aviator sunglasses that dwarfed his face. His men dressed in T-shirts and rags. They carried AK-47s and RPGs. They marched, singing, jumping. One wore a top hat and shell necklace. Another played a blue plastic recorder. One man held what appeared to be a leg bone. After several days of fighting, the perimeter around the capital had shrunk to less than 2 miles. Rose, Twaddell’s deputy chief of mission, began evacuating non-essential personnel from the embassy. 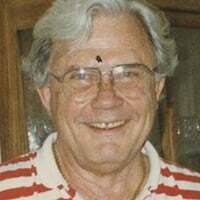 A former Army officer and helicopter pilot, Rose worried about the possibility of Taylor’s success. The West African forces counterattacked, their forces rapidly swelling to 12,000 soldiers. They loosed bombs from Nigerian air force Alpha jets. They drove tanks and armored personnel carriers. They shredded the rebels’ swampy hideouts with big guns fired from Nigerian navy vessels. The West African peacekeepers worked closely with anti-Taylor guerrillas and the notoriously brutal Liberian army — all of whom knew the terrain better than the foreign soldiers. The alliance began to push Taylor’s fighters back. For weeks, the battle seesawed. Taylor’s men were pushed out of the capital, but the suburbs remained killing fields of whizzing bullets and rotting corpses, of child soldiers holding giant stuffed teddy bears, and poorly trained peacekeepers rampaging and looting. I saw skulls. I saw dogs eating bodies. I saw bloated bodies. I saw exploding bodies. I saw women dead. I saw children dead. I saw babies dead. I saw a war….I can't apologize for war. Everybody has had a war. Trapped in the chaos were five American nuns from the Adorers of the Blood of Christ order based in Ruma, Illinois. Sisters Barbara Ann Muttra, Shirley Kolmer, Kathleen McGuire, Agnes Mueller and M. Joel Kolmer (a cousin to Shirley) lived in a small convent just off the main road that runs through Gardnersville. The convent was located on a shifting frontline between Taylor’s fighters and the West African peacekeepers. 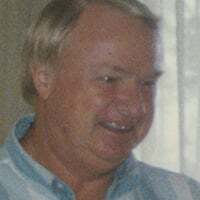 Much of what happened next was pieced together by reporter Charlotte Grimes of the St. Louis Post Dispatch in 1993. On Oct. 23, the American embassy was informed that the convent had been cut off by overnight fighting. Two of the sisters were missing. They needed help. Under pressure from the U.S. Embassy, West African soldiers pushed forward to rescue them. But they had to withdraw. The zone was too hot. The sisters’ bodies were found weeks later. Two were found dead in a car, a short distance from the convent. Three others were found in the convent itself. Several other bodies were found around the convent. The deaths of the five nuns vaulted the impossible savagery of Liberia’s conflict onto the international stage. Taylor was held responsible, though he protested that his men were innocent. In Monrovia, hundreds of people packed the Catholic cathedral on a sunny, sweltering day for a requiem for the sisters. Archbishop Michael Francis delivered a powerful, wrenching sermon. Embassy officials reported that he had called out Taylor for plunging the country into violent madness. Rose loaded the women’s bodies into C-130s on the tarmac of Monrovia’s municipal airport for flights back to the United States. They were buried together, on a cold winter day, in five side-by-side plots at the Ruma convent they once called home. 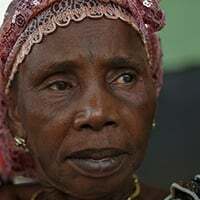 An inquiry by the Catholic Church and another by the Truth and Reconciliation Commission named Vambo and another NPFL soldier as the perpetrators. The FBI carried out its own investigation, but the U.S. Attorney’s Office declined to prosecute. In a recent interview, Rose said he remains upset that the sisters’ killers have never been brought to justice. Two decades later, Rose is still determined to make sure that their deaths are not forgotten. As Taylor’s wild boys tore up Monrovia, the plantation was humming. The expats made their daily commute from the guest-house to the Firestone office and factories a little more than 3 miles away. In October, they celebrated a new milestone: factory production had reached a record for the year: 4.7 million pounds of rubber. The managers knew, of course, that a big attack was going on. The hospital was filled with wounded NPFL soldiers. The roads were mostly blocked. They kept their heads down and worried about the rubber. A mile up the road from the plantation’s guest-house, Taylor’s war room was humming, too. He had expected the attack to last no more than two weeks. 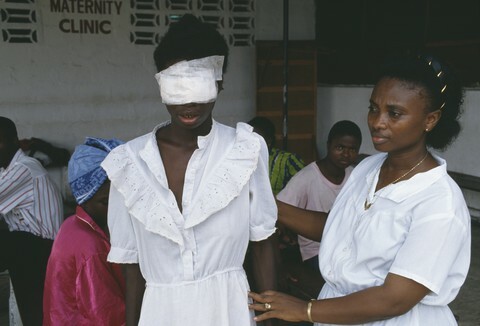 But his rebels had failed to establish even a foothold in central Monrovia. By November, the peacekeepers had gone on the offensive, recruiting allies from other warring groups. They were hunting Taylor now. West African air force jets began bombing-and-strafing runs. Since they had no anti-aircraft weapons, the aerial assaults chased Taylor’s men from one stronghold to another. His capital, Gbarnga, was hit. So, too, was the port he controlled in Buchanan. Kakata, a town with a heavy NPFL presence just outside the Firestone rubber farm, was also struck. Then, of course, there was the Firestone plantation. It was full of families recruited to come back and live and work by a company eager to return to business. The Liberians on the plantation said it was hard to imagine that the West African forces would attack. The peacekeepers would not dare place the lives of so many civilians in danger. But the plantation also held Taylor’s command post. His communications equipment. Some of his soldiers. Even his weapons and ammunition. On Nov. 2, the peacekeepers shattered the sanctuary, and Firestone’s decision to reopen its plantation in the middle of Taylor’s rebel base would exact a human cost. At about 6:30 p.m., dozens of Liberian workers had gathered at the soccer field near Harbel for a game. Men, women and children watched from the sidelines. In the homes surrounding the field, people played checkers and Scrabble — a favorite Liberian pastime. Suddenly, several olive-green Alpha jets streaked overhead. One loosed a bomb that exploded, flinging shrapnel, blood and body parts everywhere. People were screaming, dying. The planes passed by on a second run. They strafed survivors. Welwean’s uncle was playing checkers with six other men. They were cut to pieces by the strafing. Julius Morlue, a Liberian who worked in Firestone’s accounting section, was summoned by his daughter. He raced with her toward the field. He found his wife between two houses, blood pouring from a fatal wound to her head. 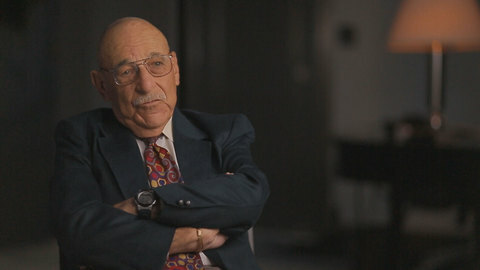 Roberts, Weihe’s secretary, was drinking a bottle of beer in his house when the bombs dropped. His house filled with smoke. A few homes away, one of his neighbors was killed. Mary Pollee had returned to Firestone after her journey of grief, taking up residence in the home she had once shared with her family. But with her husband dead, she said Firestone managers told her she no longer had the right to company housing. So she moved to a town adjacent to the plantation. She was living there when she heard the bomb strike. She ran to see what had happened. She remembered stepping over the bodies of dead Firestone workers. From the guest-house 3 miles away, the expats watched the bombing with amazement. In the gloaming, Weihe rushed down to the soccer field. He was sickened by what he saw: the blood, the bodies, the limbs like twisted doll arms scattered across the carefully manicured grass. Weihe told an embassy official that 42 people were killed — none of them combatants. Perhaps another 200 were injured. Many people were buried among the rubber trees. Weihe appeared in a televised interview after the attack. In his gray shirt and large, wire-framed glasses, he looked angry, puzzled, exhausted. Nigerian Gen. Victor Malu, the commander of the West African forces, made no apology for targeting the plantation. “The rebels were storing supplies there. And when that happens, we’ll bloody well blow it,” Malu told several newspapers at the time. The rebels were storing supplies there. And when that happens, we'll bloody well blow it. Richardson denied that Taylor’s use of the plantation had turned Firestone’s Liberian workers into human shields. Today he lives in central Monrovia, in a light-filled home made of native woods on the banks of the St. Paul River. Funny, erudite, a charming raconteur, he spends many evenings with friends from the NPFL days, tossing back Heinekens on the sidewalk outside a local auto-body shop. He insists that neither he nor Taylor did anything wrong — either under Liberian or international law. “I saw skulls. I saw dogs eating bodies. I saw bloated bodies. I saw exploding bodies. I saw women dead. I saw children dead. I saw babies dead. I saw a war. I hope to never see it again,” Richardson said. “I can’t apologize for war. Firestone decided it had had enough after the counterattack triggered by Operation Octopus. Enough bombing. Enough blood. Enough of everything. On Nov. 18, Weihe wrote a letter to “His Excellency” Charles Taylor. Weihe said he had consulted with Firestone’s CEO Kaizaki, who was “very proud” of the work Firestone had done at its Liberian outpost. Nonetheless, Firestone had decided it was “impossible” to continue work on the plantation given the security conditions. Weihe told Taylor that he had appointed the plantation’s doctor to run daily operations. Ramos, Taylor’s general, would become a member of the executive committee overseeing the plantation. 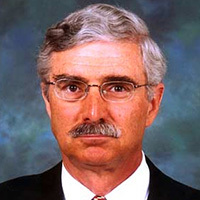 William Cooper, a brother of one of Taylor’s close allies, would have overall control as general manager. Firestone later calculated that it had made $1.1 million in profits in trying to restart the plantation between 1990 and 1993. But for now, it was time to leave. On the morning of Nov. 20, Weihe loaded 14 Firestone employees into cars and crossed Taylorland into neighboring Ivory Coast. Once across the border, the men celebrated. They hit a local casino, boozing and gambling. Pettit won more than $1,000. “I was unbelievably lucky,” he said. Firestone’s gamble to keep its plantation active from 1990 to 1993 had failed. 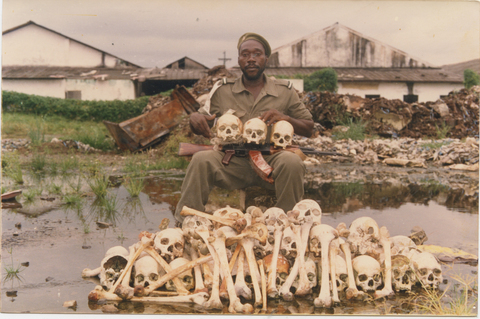 Tens of thousands of Liberians were dead. Hundreds of thousands had been driven from their homes. Hundreds of children had been killed or turned into killers. The nation was a ruin. 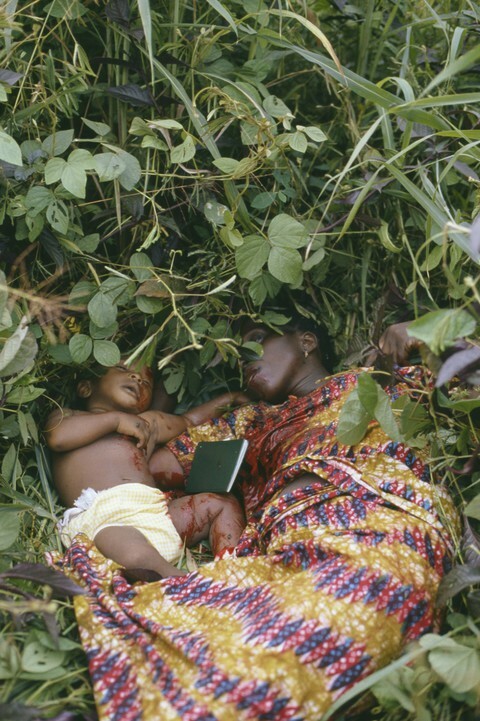 By March 1993, the West African forces had pushed Taylor’s fighters off most of the plantation. That month, Sawyer took an extraordinary step. For the first time since taking office two years earlier, the president of the interim government ventured outside his shell-pocked capital into areas previously under Taylor’s control. A highlight of his tour was a stop at the Firestone plantation. There, with reporters jotting notes and senior government officials looking on, he declared that Firestone’s management had colluded with Taylor in attacks that nearly toppled his government. Firestone’s plantation had served as the “command post and nerve center” for Operation Octopus, Sawyer said, according to a State Department cable. In July 1993, Firestone answered Sawyer’s charges with a lengthy letter defending the company’s actions. The letter, never previously reported, provides a candid articulation of the moral, economic and legal calculus conducted at the highest levels of a major American corporation. 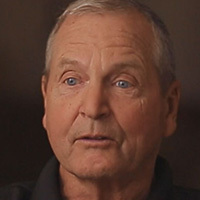 In the letter to Sawyer, Schremp wrote that Firestone had faced a difficult decision when Taylor’s forces invaded the plantation in 1990. 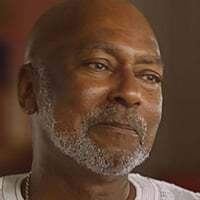 “The best and safest course was to await a resolution of the Liberian civil crisis and the establishment of a lawful government recognized and accepted not only throughout Liberia, but among the nations of the world,” he said. “We have always sought only a restoration of peace and stable government in the entire country so as to end the terrible bloodshed, grief and suffering experienced by so many Liberians,” he wrote. Schremp’s letter was accompanied by a 10-page legal defense. It turned upon the idea that Firestone had done nothing wrong, since Taylor’s organization constituted a “de facto” government over the plantation. Firestone cited a series of U.S. court cases which upheld this principle. Several stemmed from the American Civil War, where postbellum U.S. federal judges recognized the Confederacy as a “de facto” government which had authority to take certain actions. Firestone compared itself to the Liberians living in Taylorland. The interim government would not hold citizens accountable for submitting to Taylor’s iron fist. As a corporation, Firestone deserved the same treatment. “Firestone, which is a corporate ‘person’ as a matter of law, cannot be seen to have committed an offense merely by submitting to the power and authority of the NPFL over its assets,” the letter said. Finally, the company denied Sawyer’s accusation that it had willingly allowed the NPFL to use its plantation militarily. Firestone was innocent of any wrongdoing, the memo concluded. Nothing ever came of Sawyer’s legal threats. 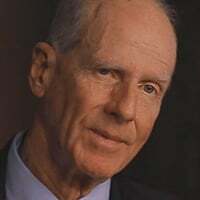 In March 1994, his interim government was replaced by another interim government that contained representatives from Taylor’s NPFL and other warring factions. The Firestone matter was dropped. The company kept a low profile, with a skeleton crew on site to maintain the plantation. Rebel factions battled among the rubber trees. Some 600 refugees were killed in a massacre in one housing camp. Over the next four years, Taylor participated in a series of interim governments that gave him some semblance of legitimacy. 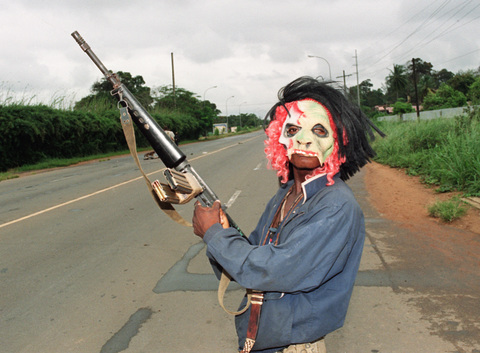 In April 1996, he launched one last ferocious attack against Monrovia. When it failed, Taylor accepted the need for elections. A little more than a year later, he stood before adoring crowds, the legitimate ruler of a legitimate country. His dream had come to pass. “I will not be a wicked president,” he promised. Back in the United States, Firestone was engaged in its own war — albeit in a courtroom. 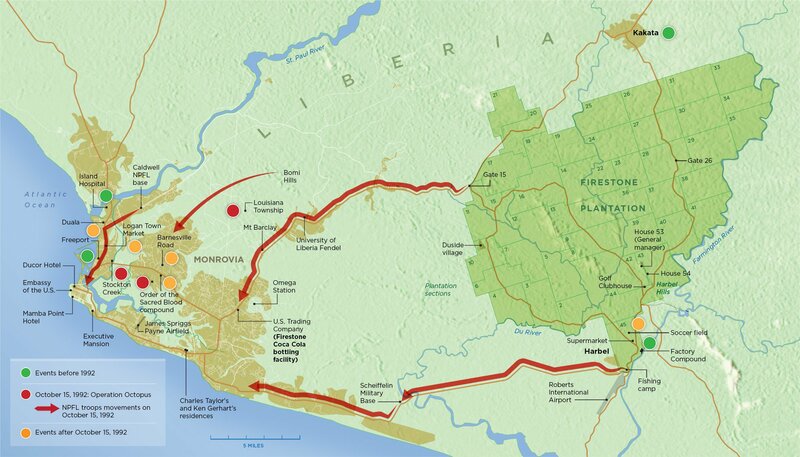 Firestone told U.S. Embassy officials that the company had lost more than $200 million between 1990 and 1994 in Liberia. But Firestone’s insurance claims had been rejected. The company’s policies did not cover losses sustained in war. In 1994, Firestone filed suit based on a bold legal theory: What had happened in Liberia was not a war. It had been a civil conflict. Thus, the insurance companies, AIG and Cigna, had unfairly denied Firestone’s claims. AIG settled the case. But Cigna fought. Cigna lawyers subpoenaed scores of internal Firestone documents, which showed that the company repeatedly referred to the situation in Liberia as a war. They deposed Firestone managers who described the conflict as a war. They even showed that Firestone had protected itself from lawsuits by saying that the war in Liberia had prevented it from fulfilling rubber supply contracts. From Liberia, Taylor and his cronies did their best to bolster Firestone’s legal case. 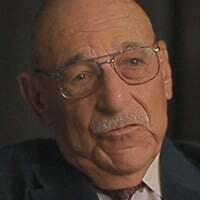 Taylor pressured his own Supreme Court to declare that Liberian law required payment of damages that arose from wartime looting, as Firestone was claiming. 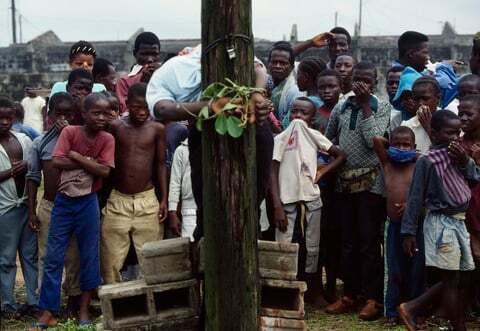 Three months after Taylor launched his final attack to capture Monrovia in April 1996, Firestone’s attorneys filed an affidavit from Woewiyu, Taylor’s defense minister. He swore that the NPFL “never intended” to overthrow the government of Liberia. Firestone’s attorney’s even made the argument that Cigna’s refusal to pay was preventing Liberia from healing from the war that Firestone claimed had not happened. Liberia’s government was begging for Firestone to return. But Firestone did not have enough capital to rebuild because “we have not yet received a dime of insurance reimbursement which could be used to fund such measures,” the attorney concluded. In the end, Cigna and Firestone agreed to a settlement that limited the potential losses for each side. The companies would submit their arguments to a trial judge. If the judge decided against Firestone, Cigna would have to pay $15 million. If the judge decided for Firestone, Cigna would have to pay $45 million. The outcome of the March 1996 agreement has never been made public. But in April, Firestone hired workers to begin clearing weeds at the plantation and to prepare for renewed production, according to cables and press accounts. In March 1997, Schremp announced Firestone’s first export of rubber from Liberia in years — 370,000 gallons of latex to France, one of Taylor’s early backers. Since the end of the war in 2003, Firestone says it has invested more than $146.9 million in the country. It currently employs 8,000 Liberians — in some of the best paying jobs in the rubber industry, according to the company and union officials. It educates more than 15,000 children in 27 schools on the plantation, recently adding a high school on the rubber farm. It has renovated more than 3,600 worker homes. Its hospital is one of the best in the country. Indeed, Firestone has kept its plantation largely protected from the Ebola virus that has ravaged the rest of the country. Firestone graduates populate the country’s political, educational and economic institutions. Firestone sends Liberian children to college each year on scholarship. Firestone’s managerial ranks are now mostly filled by Liberians. 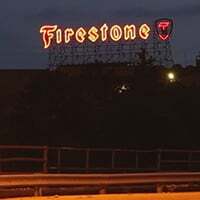 For Firestone, these accomplishments are proof that it made the right decisions in some of the country’s darkest hours. “We are proud of that,” the company said. Padmore was even more emphatic. Sign up to receive insights and discussion questions from T. Christian Miller for each chapter delivered to your inbox.